Where Can You Order Roll-Down Hurricane Shutters in Okaloosa County, Florida? Are you using plywood or flat storm panels to cover your windows before a hurricane in Okaloosa County? Are you tired of struggling with heavy, awkward panels or plywood? Are you running out of storage space in your garage or shed? If you are using these storm protection products, or you don’t have any storm protection on your windows at all, think about upgrading your home’s safety with sturdy, convenient roll-down hurricane shutters from Empire Construction & Development. Homes and commercial buildings from Destin to Crestview can benefit from strong and reliable rolling storm shutters. These shutters are easy to use – they are installed above each window and door and you simply roll them down when you need them. Your rolling shutters from Empire Construction & Development can be operated by your choice of a manual crank, a standard motor, or an upgraded Hertz motor (that comes with a remote control.) Before a storm moves in from the Gulf, you can quickly secure your property in Okaloosa County. Living close to the beach in Okaloosa County has a ton of plusses, but it can potentially leave you in the path of an incoming storm. Residents of Florida’s panhandle should make sure they have storm protection on their buildings. And when you’re looking for storm protection, don’t settle for just any hurricane shutters – get high-quality, custom built shutters from Empire Construction & Development. Our rolling shutters are made from tough aluminum, and built to withstand hurricane-force winds, flying debris, and other storm dangers. 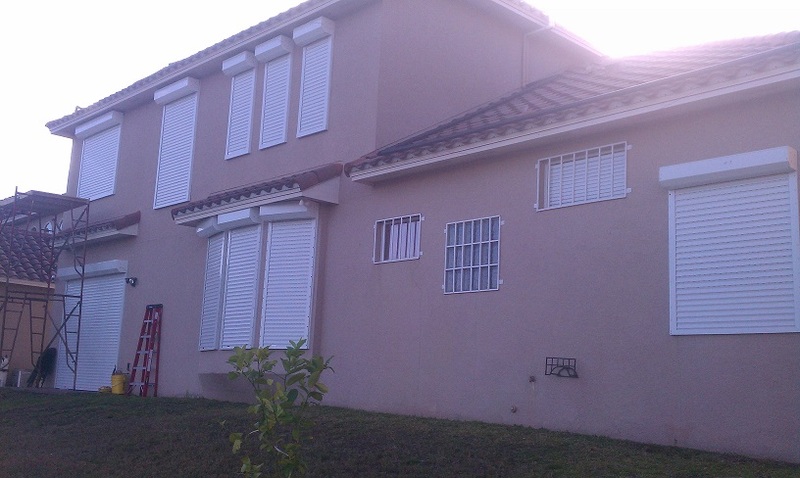 Roll-down shutters can be used on some or all of your windows as security shutters too. These strong aluminum hurricane shutters can protect your home from break-ins while you’re out of town, or just give you some extra security overnight in Okaloosa County. Roll-down shutters from Empire Construction & Development let you cover your windows, sliding patio doors, and more whenever you need to. And we sell specially designed storm panels, hurricane fabric and more to customers in Okaloosa County. Ordering roll-down storm shutters in Okaloosa County is simple when you order your hurricane shutters from Empire Construction & Development. Contact us with your window measurements for a free price quote on rolling shutters, or call: 888-474-3555 with any questions and to hear about our hurricane shutter deals this month. Order rolling shutters from Empire Construction & Development and keep your home in Okaloosa County safe! Posted in Hurricane Shutters, Rolling Shutters, Security Shutters, Storm Shutters | Comments Off on Where Can You Order Roll-Down Hurricane Shutters in Okaloosa County, Florida? A couple moved from their hometown in Tennessee to Bonifay, in Holmes County, Florida. They found a house and began to adjust to life in their new town. They loved the warm weather and mild winters of Florida’s panhandle. But one thing they weren’t happy about was the danger of a hurricane strike. Since they weren’t from Florida or another state that frequently sees hurricanes, they’d only seen hurricanes (and the after-effects of these dangerous storms) on TV. When a storm hit not too far from where they were living, they decided to stop putting off shopping for storm shutters and find strong, reliable rolling hurricane shutters for their house. 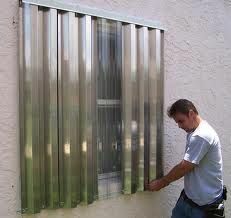 You can quickly secure your windows and doors before a storm in northern Florida with our aluminum rolling shutters. After hurricane season ends, you can still get plenty of use out of these multi-purpose shutters. 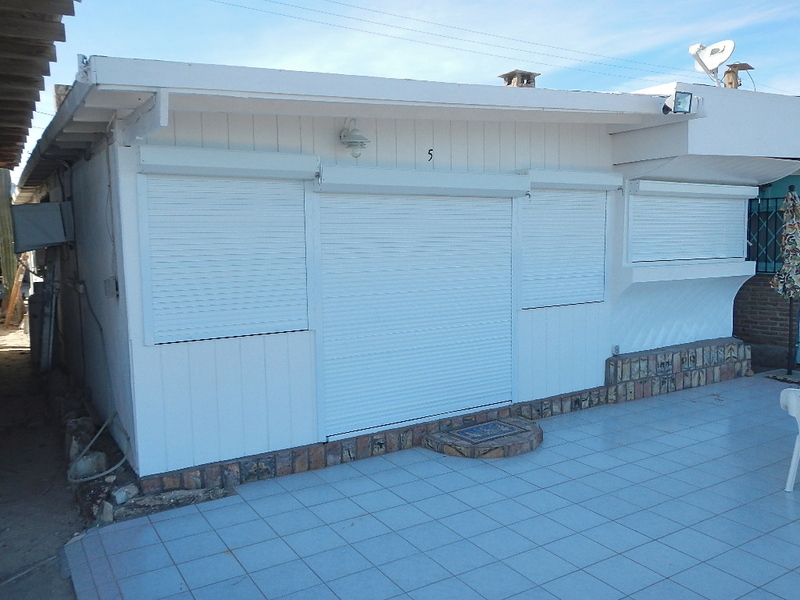 Rolling shutters provide excellent privacy and shade, and can be used whenever you need them. Our rolling shutters also make great security shutters for homes and commercial buildings in Holmes County – whether you want to secure a storefront or sliding glass door from overnight break-ins, or close up your property when you go out of town, rolling shutters will let you do that without hassle. At Empire Construction & Development, we manufacture custom-made aluminum storm shutters. Our hurricane shutters are built to adhere to the strongest wind codes in the country, and can keep your home in Holmes County safe from hurricanes, tropical storms, theft, and sun-damage. In addition to roll-down hurricane shutters, we also manufacture other high-quality storm shutters such as: accordion hurricane shutters, Bahama hurricane shutters, and Colonial hurricane shutters. See what our customers in Florida and throughout the US have to say about hurricane protection products from Empire Construction & Development. For a price quote on roll-down shutters for your home or other building, contact us today. Call: 888-474-3555 to discuss your storm shutter order and to hear about our hurricane shutter deals this month. Get the best storm protection when you get rolling shutters from Empire Construction & Development for your home in Holmes County!